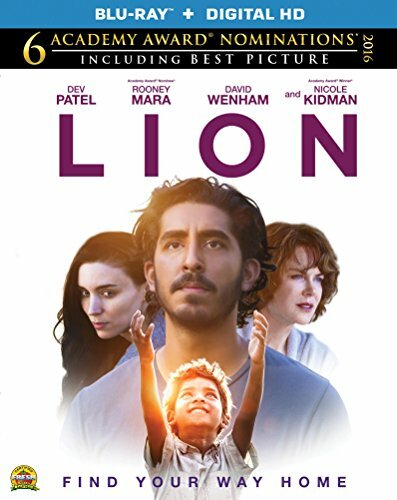 Adapted from Saroo Brierley's autobiography, "A Long Way Home," Lion is a heartbreaking biopic that definitely packs an emotional punch. Directed by Garth Davis, the film was nominated for a half-dozen Academy Awards, including Best Picture, Best Adapted Screenplay, Best Supporting Actor (Dev Patel) and Best Supporting Actress (Nicole Kidman). Blu-ray Extras: Deleted scenes; a behind-the-scenes gallery; and "Never Give Up" performed by Sia - official lyric video.